Sorry I have been a little lost in the lowcountry lately enjoying life. But I do have some exciting news! Since September I have been going to RCIA classes at my church. My husband and I have found a church we both love, with people that make it great. We knew we were both going to compromise when deciding on the denomination. It just so happens, that I would be the Methodist falling in love with a catholic church. This conversion was never a hard decision for me. In Orlando, I probably would not have gone through with it. The catholic churches we met with about our marriage were not welcoming, and were very disrespectful of my beliefs. They completely turned me off, and made me closeminded. However, after attending out SC church for 2 years, I knew it was time to fully join the church. I always believed, and still do believe that all christians are deserving of God’s Love, and one denomination over the other is not better. It is simply a different set of guidelines, and interpretations. After attending these RCIA classes for 6 months, I knew it is exactly where I should be. I felt welcomed by the lovely group of leaders, and felt right at home. The veterans(catholics) were open-minded, never forceful, honest and opinionated. I knew it would be a great fit. While I did not learn anything new about the christian world (I grew up in the Methodist church….religiously attending every week for 18 years), I learned so much about the catholic church! Many myths were proven to be lies and false, I learned about the pope and what his roles are. 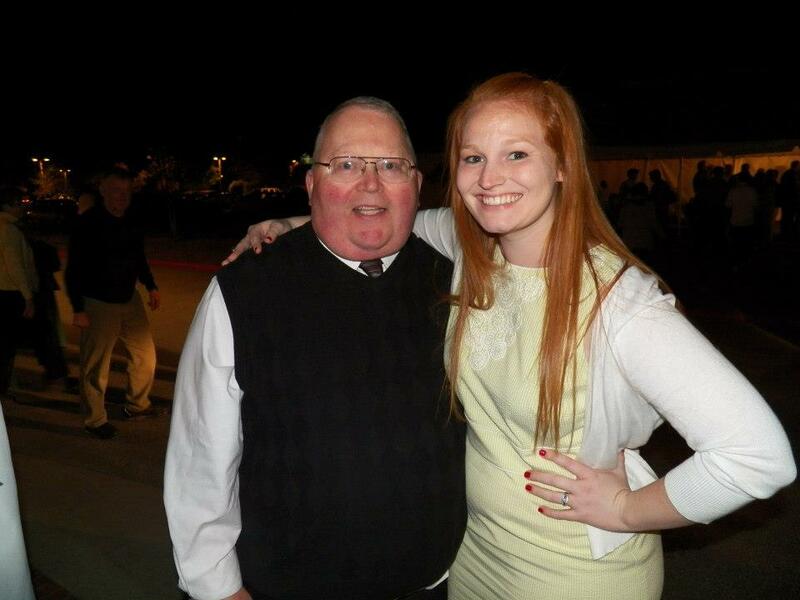 I learned the tradition behind having only males in charge…..My favorite Deacon, actually mentioned that before I die there will be female deacons:) Not that I am a feminist or anything, I just feel I am open to equal rights, especially since the female volunteer pretty much ran the Easter Vigil on Saturday night. The priests would have been lost! I am very confident in my decision. Ever since high school, I just assumed I would date and marry someone who didn’t care about which church they belonged to, so they would convert to whatever I was. However, God pulled a fast one on me, and picked a very religious man to be my husband. He is even the most religious out of his siblings, so God truly wasn’t playing with me! 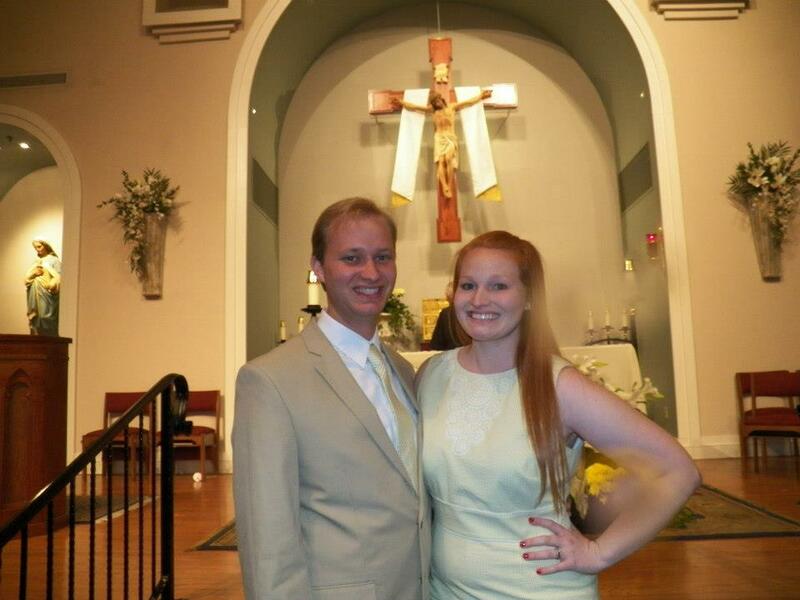 When we started dating, we knew right away to not talk about Catholicism and Methodism. We both were passionate, yet curious and had many questions. We finally decided when it came time that we picked a place to live we would decide on a church. And that we did:) I was confirmed on Saturday at the Easter Vigil of St. Gregory the Great. I received a lot of support and kind words from family and friends, and everyone asked me how I felt. Well I remember being confirmed in 6th grade…..with my good friend Wes:) And I remember just being close to God and on a spiritual high. And what I realized on Saturday, is that I am on a spiritual high once again. I am so excited to continue my spiritual journey with my husband, and by myself. I am intrigued by this new chapter in my life, and open to where it can take me.